Although, it may sound unfair to hear about having only one winner for the grand prize, there are consolation prizes to be given away, especially for participants who have made it through top 20 and top 4. Even though the prizes are not equivalent to $1 million, at least the participant didn’t join the contest for nothing. Here’s a couple of stories that show how they afford to have their ads make it to the Super Bowl 2014. They may have different ideas on how to get the consumers’, but they are quite effective nevertheless. Who would have thought that a supposedly entry for Doritos’s Super Bowl 2014 Ads is starred by a bunch of firefighters and social member in the Dauphin County? The Union Deposit Volunteer Fire Company 47's ad was the idea of another firefighter and photographer, Andy Dresher, who also had a career making commercials and in photography. The Dauphin County’s 30 second commercial entry was submitted earlier this year along with thousands of other participants in Doritos' Crash the Super Bowl XLVIII contest that just ended on Sunday at midnight. Dresher has made several ads for the past years, including a taxpayers.com commercial in 2009. What makes his current project unique is that he uses all the available volunteers and staff from the fire station for the production. During the commercial, the firefighters, who were on standby at station 47, are called to a nearby residential fire and arrived just in time with all the lights and siren. After the scene where he station financial secretary and social member, Liz Reilly, kicked the door of the smoked-filled residence, Deputy Chief Thomas Brumbaugh and firefighter Brian Sweikert were greeted by a man on a couch, played by a professional actor from Berks County named John Daily, with a bag of spicy Doritos chips. After the funny exchange between the firefighters and the man with a bag of Doritos, the chief ordered Sweikert to hose down the entire room, and the ad ended with Daily shouting while the Doritos logo appears. Although the commercial it has a funny twist, Doritos executives would still have to pick five entries, which will be up for public vote, as stated by the official rules of the contest. The final two advertisements will be used in Doritos’s lineup for the Super Bowl 2014 Ads. All five entries, however, will receive cash prizes depending on their rank in the contest. Dresher added that the ultimate goal is all the money if ever they win the prize. “$1 million is going to be a lot of help in renewing the fire station because it hasn’t been renovated since it was first stood in the late 1950s,” Dresher said. While he and the other firefighters could definitely find a use for the prize money, they are still being realistic, but not giving up their hopes in the competition. "There's a huge sense of pride, I take all of the work I do very seriously, but it actually bonded everybody together, and in the fire community you already have a pretty strong bond with one another," Dresher added. Aside from Doritos, let’s take a look on how some businesses boost their ad rating to the Super Bowl 2014 Ad slot. In the case of Wonderful Pistachios, they invest a lot of money to get celebrities star and endorse their goods. Wonderful is a company that produces a nut product, mainly almonds and pistachios. Their goods come in different flavor so that consumers would have a wide variety to choose from. The company also has a website that features video clips with celebrities endorsing their products such as Dennis Rodman, Manny Pacquaio, and even Psy. In other words, the Wonderful Company is not only intending to sell their products to Americans at the Super Bowl. They’re also planning to go global. Surely, convincing a celebrity to star in a 30-second advertisement is not that easy. If ever they do, that’s not the half. The next concern would be the budget for the production. Having celebrities alone to star in an advertisement is already expensive. But this doesn’t include the talents, the props, and the manpower needed for the entire production. If one of these elements are lacking, it won’t get much attention from the target market. Therefore, much budget is required in order to have a star-studded commercial. How do they do it? Since Wonderful is a selling company, their revenue makes up the most part of their budget. Part of that budget I what they use for advertisement. Last year, Wonderful Pistachios ratings were very high using Psy’s “Gangnam Style” at the event. This year, there are rumors that say that Miley Cyrus stars in a Wonderful ad of her own for this upcoming year’s Super Bowl. According to David Schwab, a celebrity agent, "Miley's name instantly gets a brand media exposure. However, this can't be a brand that already has a strong emotional tie with the consumers. It has to be a brand that's attempting to provide public awareness." 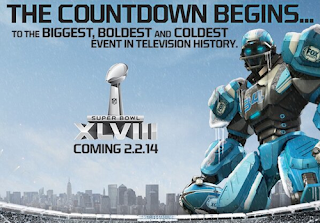 Gaining consumers through Super Bowl 2014 ads often requires a brilliant method, or a big budget. Although the votes are coming from the public, it is pretty much a game of chances. Nevertheless, if anyone wants to get a shot at the grand prize, all businesses are encouraged to invest some time, efforts and resources. Besides, in the end, they all get recognition and gain customers.